The Financial Accounting Standards Board has released a new standard providing clarification on the classification of certain items in the Statement of Cash Flows. Settlement of zero-coupon debt instruments or other debt instruments with coupon interest rates that are insignificant in relation to the effective interest rate of the borrowing: At the settlement of zero-coupon debt instruments or other debt instruments with coupon interest rates that are insignificant in relation to the effective interest rate of the borrowing, the issuer should classify the portion of the cash payment attributable to the accreted interest related to the debt discount as cash outflows for operating activities, and the portion of the cash payment attributable to the principal as cash outflows for financing activities. Contingent consideration payments made after a business combination: Cash payments not made soon after the acquisition date of a business combination by an acquirer to settle a contingent consideration liability should be separated and classified as cash outflows for financing activities and operating activities. Cash payments up to the amount of the contingent consideration liability recognized at the acquisition date (including measurement-period adjustments) should be classified as financing activities. Any excess should be classified as operating activities. Cash payments made soon after the acquisition date of a business combination by an acquirer to settle a contingent consideration liability should be classified as cash outflows for investing activities. Proceeds from the settlement of insurance claims: Cash proceeds received from the settlement of insurance claims should be classified on the basis of the related insurance coverage (that is, the nature of the loss). For insurance proceeds that are received in a lump sum settlement, an entity should determine the classification on the basis of the nature of each loss included in the settlement. Proceeds from the settlement of corporate-owned life insurance policies, including bank-owned life insurance policies: Cash proceeds received from the settlement of corporate-owned life insurance policies should be classified as cash inflows from investing activities. The cash payments for premiums on corporate-owned policies may be classified as cash outflows for investing activities, operating activities, or a combination of investing and operating activities. Distributions received from equity method investees: When a reporting entity applies the equity method, it should make an accounting policy election to classify distributions received from equity method investees using either of the following approaches: (1) Cumulative earnings approach, or (2) nature of the distribution approach. (These are detailed further in the standard.) If an entity elects to apply the nature of the distribution approach and the information to apply that approach to distributions received from an individual equity method investee is not available to the investor, the entity should report a change in accounting principle on a retrospective basis by applying the cumulative earnings approach in (1) for that investee. In such situations, an entity should disclose that a change in accounting principle has occurred with respect to the affected investee(s) due to the lack of available information and should provide the disclosures required in paragraphs 250-10-50-1(b) and 250-10-50-2, as applicable. This amendment does not address equity method investments measured using the fair value option. Beneficial interests in securitization transactions: A transferor’s beneficial interest obtained in a securitization of financial assets should be disclosed as a noncash activity, and cash receipts from payments on a transferor’s beneficial interests in securitized trade receivables should be classified as cash inflows from investing activities. 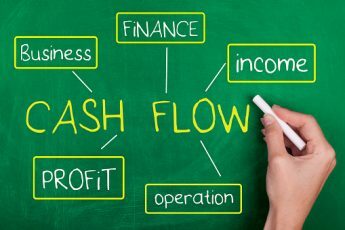 Separately identifiable cash flows and application of the predominance principle: The classification of cash receipts and payments that have aspects of more than one class of cash flows should be determined first by applying specific guidance in generally accepted accounting principles (GAAP). In the absence of specific guidance, an entity should determine each separately identifiable source or use within the cash receipts and cash payments on the basis of the nature of the underlying cash flows. An entity should then classify each separately identifiable source or use within the cash receipts and payments on the basis of their nature in financing, investing, or operating activities. 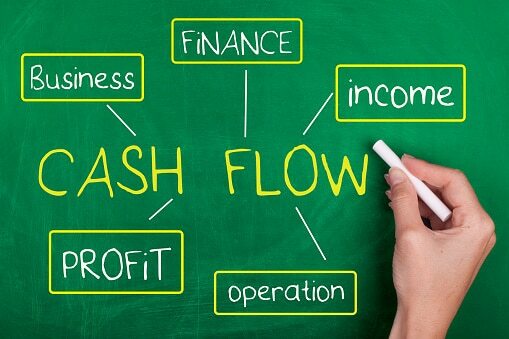 In situations in which cash receipts and payments have aspects of more than one class of cash flows and cannot be separated by source or use, the appropriate classification should depend on the activity that is likely to be the predominant source or use of cash flows for the item. Public business entities: Fiscal years beginning after Dec. 15, 2017, and interim periods within those fiscal years. All other entities: Fiscal years beginning after Dec. 15, 2018, and interim periods within fiscal years beginning after Dec. 15, 2019. Accounting and auditing updates … and more! Looking for updates on accounting and auditing issues, changes in federal and state tax law, management of accounting practices, hot topics in risk management, business strategy, finance and more? See what the Maryland Association of CPAs has to offer by visiting macpa.org/learning and macpa.org/events. The new website, macpa.org, launched earlier this summer, also facilitates CPE Catalogue Search. And check out the award-winning Anticipatory Organization: Accounting and Finance Edition program, customized for the accounting and finance profession by futurist Daniel Burrus with the MACPA and the Business Learning Institute.